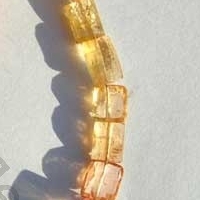 Imperial Topaz is a variety of Topaz that has a stunning color, amazing properties and a feature that impresses people who love gemstones. 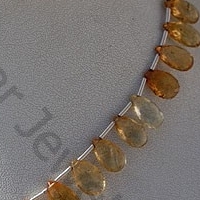 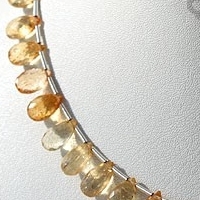 This variety of Topaz is one of the twelve breastplate stones of the High Priest referred to in the Book of Exodus. 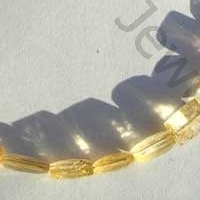 The breastplate stones are considered sacred to twelve mighty angels who guard the gates to Paradise. 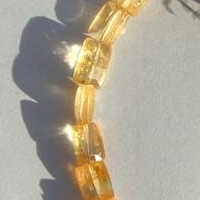 An interesting fact associated with Imperial Topaz Gemstone Beads is that it mainly considered as the stone which strengthens state of mind and generates a stress free aura around the wearer. 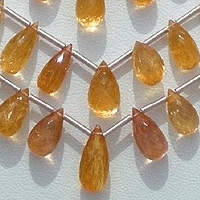 Imperial gemstone involves the composition of aluminum silicate which is mainly available in areas with high temperature. 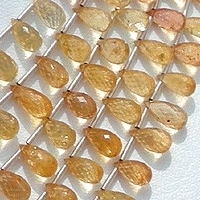 Its hardness of Mohs scale measures to 8. 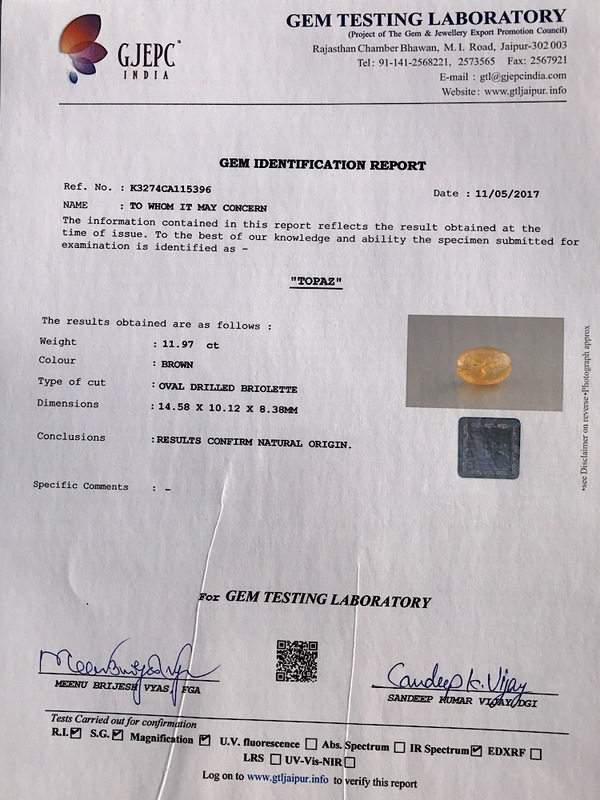 Normally it is extracted in all corners of world but the main areas of its extraction are Brazil and South America. 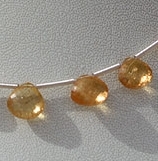 It is considered as the birth stone of Sagittarius zodiac. 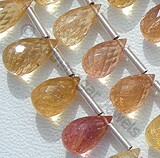 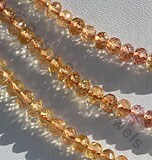 Imperial Topaz is also considered as the stone of good fortune and brings huge wealth to the user. 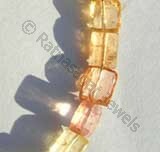 It is believed that the rays of Imperial Topaz relishes the users and supports the user with appropriate suggestions through some person in form of his teacher and mentors. 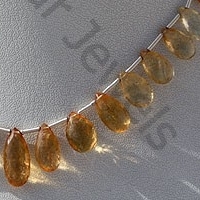 It also develops the ability of recognizing personal efficiencies and accepts weaknesses without any hesitation. 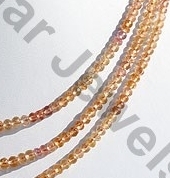 Ratna Sagar Jewels is the best place to get the Imperial Topaz gemstone beads in variety of shapes and for affordable prices. 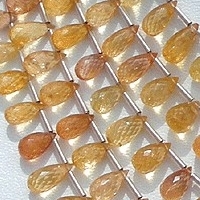 Natural Imperial Topaz Gemstone Beads possess property of Transparent, natural veins and are available in lustrous golden orange yellow and pink colour with micro cut, Flat Pear Shape. 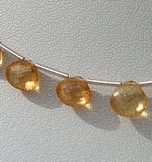 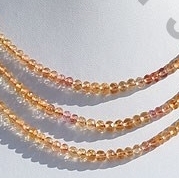 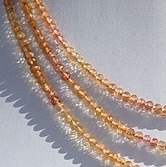 Natural Imperial Topaz Gemstone Beads possess property of Transparent and are available in lustrous golden orange yellow and pink colour with micro cut, Rondelles Shape.